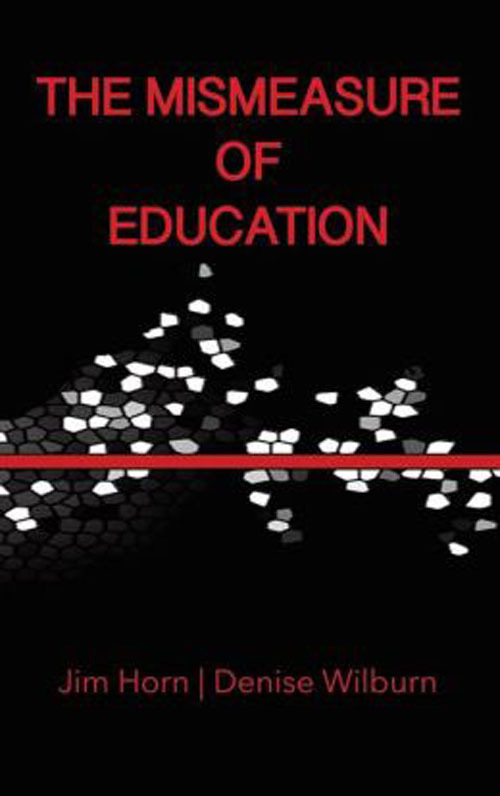 After Valerie Strauss at WaPo posted yesterday D. Ravitch's sweet talk to the execs of KIPP, Inc., I thought it potentially useful to post some excerpts from my chapter on KIPP that recently appeared in an edited volume from Routledge. 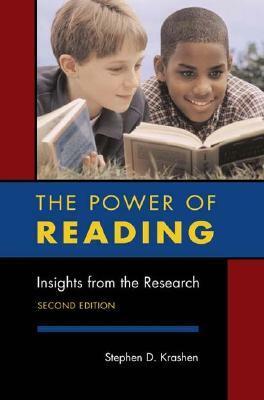 After all, if Dr. Ravitch's top-flight reeducation has left her with such huge blind spots when it comes to KIPP, what must the general public think? 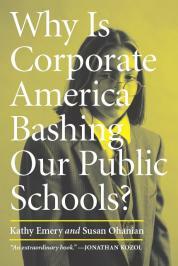 The chapter is "Corporatism, KIPP, and Cultural Eugenics."
. . . .If threats, punitive measures, or wishful thinking (in any combination applied by liberals or conservatives) would have worked in the public schools to bring about the closing of the achievement gap between black and white, or rich and poor, then the children of the poor over the past twenty years may have been spared, perhaps, the continuing steroidal remedies and monstrous ministrations[i] that are now accepted practice in many urban schools trying to keep pace with the demands of NCLB’s Adequate Yearly Progress decree. And even as sanity insists that poor children will find the more rigorous national tests (now on the drawing board) even harder to pass than the less-rigorous state ones that they now fail in droves, the next likely tough-love chapter in the reform-schooling of urban America appears to be moving into alignment, explicably borne forward by willful ignorance, political hubris, moneyed arrogance, and a national advertising campaign to publicize a new secret weapon in the continuing crusade to raise test scores and close the achievement gap. The reformers’ new secret weapon is a non-profit corporate chain of charter schools known as the Knowledge is Power Program (KIPP). Since being embraced George W. Bush in 2000, KIPP, Inc. has become the new miracle (or mirage) choice model that promises to finally fix the children in neighborhoods where poverty is left unchecked and in a viral state. With a new administration now in Washington even more keen than the last one on accelerating the number of charter schools in urban areas where a psychological “no excuses” rehab seems to be in order, we could see the fruition of an ideological commitment to privatization, anti-unionism, and social efficiency control that, heretofore, has constituted the education agenda of political conservatives only. The seamless replacement of urban public schools by corporate-run charter schools could depend, sadly, on the ability of cash-starved states and cities to withstand takeover bids from corporations and their foundations, which now effectively exert their power through the federal education establishment. With the Secretary of Education, Arne Duncan, publicly supportive of the CEO-powered urban model, from the mayor’s office down to the principal’s office, resistance may prove futile among economically hard-pressed state and city governments. Begun as a single middle school in 1994 by two ambitious Teach for America alums in Houston, Texas, the KIPP chain now has over 80 locations and the financial backing of America’s most active corporate givers to K-12 education. Since 2000, when a simulated KIPP classroom skit was presented as part of the program for Republican National Convention, the growing list of benefactors has grown impressively. With many deep pockets at the ready to assist, KIPP has emerged as the poster school for urban education reform. The irony is, we know what works to close the achievement gap. At the 60 KIPP (Knowledge Is Power Program) schools, more than 80 percent of 16,000 randomly selected low-income students go to college, four times the national average for poor kids. While KIPP isn't fully replicable (not enough effective teachers to go around), every low-income school should be measured by how close it gets to that model, where kids go to school from 7:30 a.m. to 5 p.m. and part of the summer, and teachers are held strictly accountable for showing student improvement. Although he is no less falsely convinced that KIPP offers the solution to the achievement gap, Alter at least offers a refreshing admission that Gates and others are unwilling to make as they hawk the idea of KIPP charters as the urban education solution: KIPP cannot be scaled up to fill the bill for which it is advertised. Here’s why. Together, the four schools began with a combined total of 312 fifth graders in 2003-04, and ended with 173 eighth graders in 2006-07 (see Exhibit 2-3). The number of eighth graders includes new students who entered KIPP after fifth grade (p.12). Now if the 40 percent of children who survive KIPP from grade 5 through 8 all finish high school, that would mean that 30-35 percent of children who began KIPP in fifth grade eventually go on to college. That would still be an impressive statistic, if we were to accept Alter’s claim that, nationally, 20 percent of poor kids go to college. According to more reliable sources, however, the percentage of “poor kids” attending college soon after high school is, in fact, 52 percent (National Center for Public Policy and Higher Education 2008), rather than 20 percent, as Alter claims. In terms of family income, 91% of high school students from families in the highest income group (above $100,000) enroll in college. The enrollment rate for student from middle-income families (from $50,001 to $100,000) is 78% and for those in the lowest income group ($20,000 and below) the rate is 52% (p. 7). So much for that aspect of the KIPP miracle. Given the winnowing of KIPP students between grades five and eight, and given the fact that KIPPsters spend 65-70 percent more time in school than their public school counterparts, KIPP’s college attendance rate begins to appear less miraculous. Important in the college attendance rate, too, is the self-selection process (Rothstein 2004) among parents who are keen on having their children become participants in the unique kind of academic lockdown that characterizes the total compliance regime of KIPP. When these factors are considered, then, KIPP’s potential as the next silver bullet for urban education achievement gaps appears less of a slam-dunk than the mainstream media might believe—or have readers to believe. As long as it remains a small charter boutique chain with 82 schools [now 99] in 19 states, plus the District of Columbia, KIPP can continue to emphasize the fact that it is a school of choice that encourages those who disagree with its philosophy and methods to go elsewhere. If KIPP, indeed, were to become the model that Bill Gates would like all urban schools to emulate, we must wonder what would happen to the other 50-60 percent of middle schoolers in the Bay Area (and in other urban communities, we may assume) who leave KIPP, the ones who are unable or unwilling, or whose parents are unwilling, to be subjected to the kind of boot camp educational intervention that KIPP provides without exception. Where would they go? So far, KIPP’s wide and thin dispersal across 19 states makes KIPP a scarce commodity with a very effective public relations machine that cannot conceal, however, the odds that KIPP’s “best chance at success is to be the exception rather than the rule in any city where it operates” (Mosle, 2009). We found that students who remained at KIPP had higher incoming scores in both reading and mathematics than did their peers who entered KIPP in fifth grade but exited before completing the program (see Exhibit 2-5). We also considered the question from another perspective: Are students with lower scores more likely to exit KIPP? We used fall fifth-grade SAT10 scores to predict those exiting KIPP and found that the probability of a student’s leaving KIPP before completing eighth grade is higher for those with lower entering scores (Woodworth, et al 2008, 15-16). KIPP’s low-flying students, then, “choose” their way out to other schools, as do those whose parents question the punitive, cultish culture of KIPP. The KIPPsters' reputation for impressive test performance is based largely on the winnowing of those who “choose” to go elsewhere, thus leaving the KIPP brand unscathed by low-test score performance. "Since 2001, middle school students who completed four years at KIPP increased their average math achievement level on average from the 40th to the 82nd percentile and their reading level from the 32nd to the 60th percentile -- gains not seen anywhere else." And with almost half the school day spent on math and reading test prep—a school day that runs from 7:30 to 5 (plus a half day on Saturdays and three extra weeks during the summer)—we might, indeed, expect significant gains among the fittest survivors. Student attrition, then, is a real problem, to say the least—but one that does nothing to dampen the heat of enthusiasm among those looking to “rigor” to close the achievement gaps. The idea of "scaling up" a system that leaves over half the students to give up may be a laudable model for philanthro-capitalists like Don Fisher who believed “that education is a business” and that a school is “not much different from a Gap store” (Duxbury 2008), but such a system would throw gasoline on the failure fire that, under NCLB, is already consuming public schools in poor communities. The big gains in the testing bottom line among the KIPP survivors only ignores the retail brutality of a system that treats children like dry goods that can be culled and sorted, within a compliance model based on pressure cooker pedagogy and a pervasive application of psychological interventions aimed at cultural displacement. Assured by other means of holding only the better test performers, the denial among KIPP proponents and the KIPP Foundation of “creaming” the best test performers through selective recruitment remains technically true. The high selectivity that KIPP maintains, rather, is achieved by an unceasing recruiting process to replace those low performers and resistors who “choose” to go elsewhere, and by a strict and unwavering socialization process that depends upon a stringent behavioral catechism and psychological realignment. Sometimes referred to as KIPP-notizing (Smith, 2005), the psychological induction and maintenance regimen is effective in quickly weeding out those who threaten the compliance structure of the organization or the results upon which KIPP’s marketing strategy is based. The persistent admonition to students, parents, and teachers alike that KIPP is a school of choice (see Pillar # 2 of the Five Pillars[ii]) is not just an empty element of a mission statement: it is the method used to distinguish between a cult and a sect on the continuum of selectivity, if KIPP were a religious organization (Etzioni, 1961, p. 156). An attendant problem to the 60 percent attrition rate among KIPP students is the attrition rate among KIPP teachers, a rate that would be unsustainable if KIPP did not depend upon large numbers of recruits from Teach for America (TFA), another favorite non-profit educational organization among philanthro-capitalists (Mosle, 2009). When David Levin and Mike Feinberg created KIPP in 1994, they were, in fact, fresh TFA[iii] alums, and it is clear that they envisioned TFA, with its two-year service contract for inexperienced teacher candidates who are heavily recruited from Ivy League schools, as a ready source for a ready supply of fresh blood that would be required to sustain the martyrly commitment and performance standards that KIPP demands from teachers. Even though TFA has seen a recent surge in recruits with the current economic decline and its ramped-up advertising campaign that spends more each year on recruitment than it does on pre-service training (Teach for America, 2007, p. 29), it is inconceivable, however, that TFA could offer the hundreds of thousands of teachers that would be required to sustain such a model as KIPP on a scale that would serve all or most of the schools of urban America. Interestingly, TFA recruits who score high during their KIPP teaching missions are subsequently recruited into KIPP leadership positions[iv]. These new leaders, in turn, are given CEO power in the principal’s office to make decisions that were once the responsibility of publicly-elected school boards, now relics in an era of publicly-funded schools that are planned and managed by corporations without oversight or regulation. As we shall see, such a singular, unmonitored focus on the new bottom line opens the door to unethical and abusive practices. Since 2003-04, the five Bay Area KIPP school leaders have hired a total of 121 teachers. Of these, 43 remained in the classroom at the start of the 2007-08 school year. Among teachers who left the classroom, at four of the schools they spent a median of 1 year in the classroom before leaving; at one school, the typical teacher spent 2 years in the classroom before leaving (32). SRI researchers found teachers committed but clearly doubtful of their capacity to continue under the stress of 65 hours of school-related work per week (includes 2 hours per night for telephone homework assistance). One veteran teacher told researchers: “The consequence is I can’t do this job very much longer. It is too much. I don’t see any solution with our structure and our nonnegotiables. No one has really presented any way to solve that problem” (35). Meanwhile, TFA continues to ramp up its advertising to include national buys on television, as many of the same corporate benefactors from KIPP’s impressive list of givers pour in more edu-preneurial investments through non-profit and tax-sheltered foundations and social entrepreneurial investment funds such as the New Schools Venture Fund. With the average KIPP teacher leaving after three years service (Browne 2009, 174), and with new KIPP locations planned, the $18-20 million annually that TFA now spends on recruiting will likely fall short of the amount needed to sustain the teacher induction effort. [i] See, for instance, Linda Perlstein’s (2007) Tested. . ., unforgettable chronicle of the teachers, principal, and students of Tyler Heights Elementary School in Anne Arundel County, MD. For a qualitative case study (Horn 2003), see LEAP-ing toward accountability: Ideology, practice, and the voices of Louisiana educators. 1. High Expectations. KIPP schools have clearly defined and measurable high expectations for academic achievement and conduct that make no excuses based on the students' backgrounds. 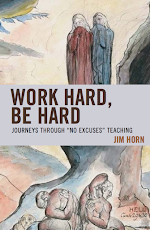 Students, parents, teachers, and staff create and reinforce a culture of achievement and support through a range of formal and informal rewards and consequences for academic performance and behavior. 2. Choice & Commitment. Students, their parents, and the faculty of each KIPP school choose to participate in the program. No one is assigned or forced to attend a KIPP school. Everyone must make and uphold a commitment to the school and to each other to put in the time and effort required to achieve success. 3. More Time. KIPP schools know that there are no shortcuts when it comes to success in academics and life. With an extended school day, week, and year, students have more time in the classroom to acquire the academic knowledge and skills that will prepare them for competitive high schools and colleges, as well as more opportunities to engage in diverse extracurricular experiences. 4. Power to Lead. The principals of KIPP schools are effective academic and organizational leaders who understand that great schools require great school leaders. They have control over their school budget and personnel. They are free to swiftly move dollars or make staffing changes, allowing them maximum effectiveness in helping students learn. 5. Focus on Results. KIPP schools relentlessly focus on high student performance on standardized tests and other objective measures. Just as there are no shortcuts, there are no excuses. Students are expected to achieve a level of academic performance that will enable them to succeed at the nation's best high schools and colleges (KIPP Foundation, 2009). [iii] Its critics often refer to TFA as Teach For Awhile, since most of the Ivy League recruits do not teach beyond the two-year commitment required in the contract. [iv] The relationship between TFA and KIPP is even more than cozy—it is familial. Wendy Kopp, CEO and Founder of TFA, is married to KIPP CEO, Richard Barth. Ravitch is right. Gates is wrong. More on the "STEM shortage"
Are we bad in math? Probably not. Will Our Students Save Education? The Kanamits of Kaplan "Serving the Poor"
Duncan and RTTT in England; NSVF Copy, Too? Book reading: No decline over the last 65 years.